The Four Partners of Economic Development, the EDA, NDDC, NEC, and Chamber of Commerce, are working together on a Market Area Profile. The Partners met with the U of M’s Bruce Schwartau last week to begin the process. The Profile represents a more comprehensive approach to market analysis, moving from a strictly geographic-based definition to include a characteristic-based definition. The first phase will focus on surrounding zip codes from which people can easily travel to Northfield to shop. We will determine if there are potential opportunities from this definition of market. 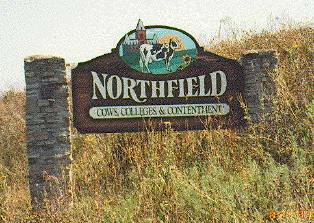 The second phase will look at more distant zip codes where there are high concentrations of characteristics which are attracted to Northfield’s assets. We will consider marketing strategies which will draw more visitors from this definition of market. A number of local business owners or managers will be invited to work with U of M Extension Service to fine-tune the preliminary information. A draft report will be shared with additional stakeholders before the final report is created and released to all area businesses. Trade statistics, business numbers, consumer tendencies, and sales data can provide insight for a variety of purposes, including decisions concerning expansion, relocation, marketing, government finance, and community development. The knowledge gathered from local business owners and managers helps to assure that the resulting information will be useful for the Northfield area retailers. These two intensive information gathering sessions are scheduled for May and June. As the analysis is being completed, new approaches to marketing will begin.